Scientist Dr Mark Stalham will tell the industry about research which has shown that reducing cultivation depths can not only save time and costs but also increase yield and quality. He will present data from the 2016 cultivation trials which demonstrate how different cultivation systems can have a significant impact on pack out figures. 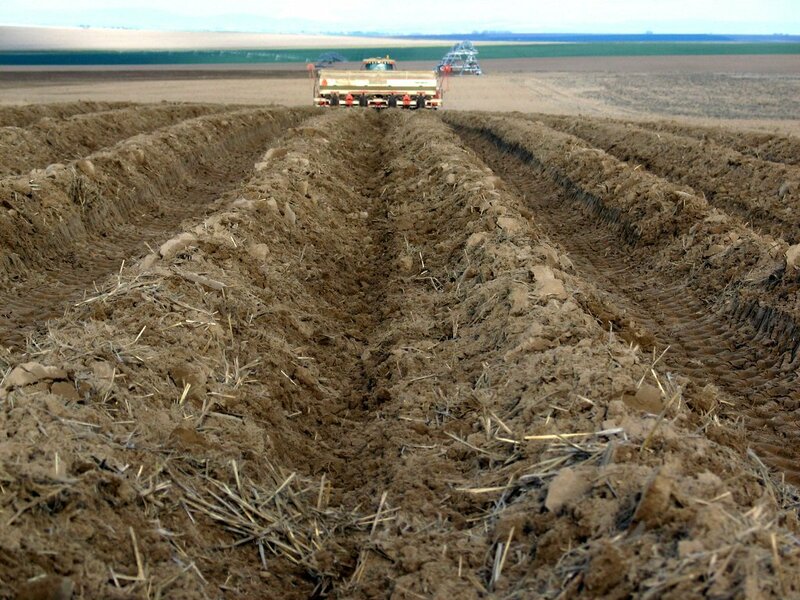 “We will outline the likely results from the four cultivation treatments currently on trial and explain why to achieve the optimum economic result, farmers could remove bed-tilling completely, and sensibly reduce the depth to which they de-stone and bed-form,” he said. Bruce Farms is home to a series of research trials run by AHDB Potatoes as part of its monitor farms programme which aims to demonstrate cutting-edge techniques that are appropriate to the region and market sector. Other work will be revealed by James Hutton Institute (JHI) researcher Dr Blair MacKenzie who will focus on cover crops and talk attendees through the treatments chosen for the farm, while his colleague, blight expert Dr Alison Lees, will discuss soil sampling and blight spore trapping. Bruce Farms are trialling different fertiliser rates and applications including liquid fertiliser, Standen, reduced rate N and a standard commercial treatment. This work will be covered by AHDB knowledge exchange manager, Dr Anne Stone. Full details of the trials programme will be revealed at the open day on Tuesday 18 July. Those interested in attending the event can chose either the morning or afternoon session as both will cover the same topics. Those attending in the morning should arrive at 10am while those attending in the afternoon should arrive at 12.30pm. Lunch will be provided.